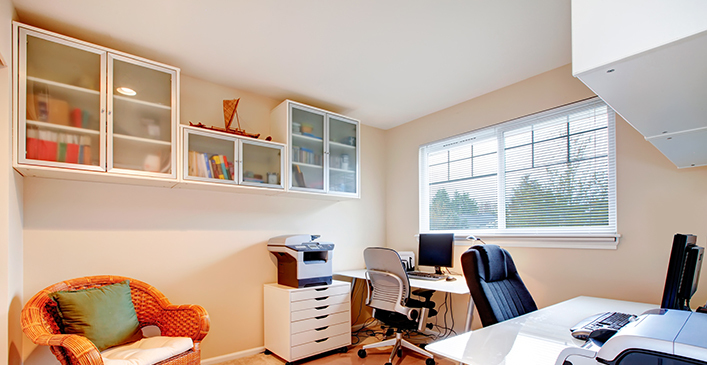 Nothing gets in the way of having a beautifully decorated home more than clutter. Adopting a storage system is paramount to reducing excess clutter when redecorating. When everything has a place, it’s much easier to find things. There are endless storage containers to choose from, from plastic to wicker to vintage wood crates. Find something that works for you and your budget but keep it consistent, at least within the same room. Move papers out of sight and dress up bookshelves with cute accents and décor.